When Ema Ostarcevic was 5 years old, her mother and three siblings packed for a two-week trip from Croatia, where they lived, to Utah, where her father was an international scout for the NBA. While they were in the United States, war broke out in the former Yugoslavia, leaving them unable to return home. “My family jokes that we’re on a suspended two-week vacation,” she says. Today, Ostarcevic is the founder and CEO of SEARCH Group Partners, a staffing and recruiting firm in Salt Lake City. She’s also a new mom to 4-month-old Alexander and is growing her company in new markets with the support of her fiancé, Ryan, who is a full-time dad. She credits her father and her ballet training for the drive and discipline that helped her start her own business at 25. She’s focused on growing a culture that empowers women, because in her world, the corner office includes a changing table and a bassinet. How did you come to start Search Group Partners? I always knew I wanted to own my own business, but I thought I’d probably do it 10 years from now. I’ve always been a bit of an entrepreneur at heart. I did early college when I was 15. I managed my first group of 20 people when I was 20 years old, and my whole team was 20 years older than me—and 18 of them were men. SEARCH happened organically. I was on vacation and one of the neighbors of the house where I was staying at owned a staffing company, and he opened his first company in his 20s. We were socially talking, and he said, “You should open your own firm.” At the time, I was working for Robert Half International, one of the world’s largest staffing firms and a Fortune 500 company; they have 350 offices worldwide. I had worked in their L.A. market, the Utah market and most recently was in the New York market working in their executive search practice. In this conversation, the man said, “I would back you, and I think we could round up a group of others who would be interested in backing you. Now is the time: You’re young, you’re single, you don’t have any kids, and you’re already working 80 hours a week anyway.” He pretty much talked me into it. While I’d always planned to do it, the opportunity presented itself with the right investor and financial backing, and that was really important to me. I didn’t want to start Ema’s staffing agency out of my basement. I really wanted to have the right partners and resources. I call it the right grey hairs. I fully recognize where my strengths are and where there are opportunities, and I thought, If I am going to do this, I have to surround myself with the right people to ensure that it’s successful. Why did you choose Utah for your business? Your dad was a recruiter. Do you think that influenced the business you’re in? I think recruiting is in my DNA. I’m the talent agent for the everyday person. You’ve said that recruiting women in executive and management positions is important to you. Why? I’m a big believer in empowering and supporting women. I believe we achieve a lot more by supporting each other than tearing each other down or competing with each other. I believe that women can be the greatest resource for each other, and it’s something that I’m personally passionate about. Being in Utah, there aren’t a lot of women who work. In comparison to other states, there are a lot of women who stay home and there are a lot more children born per capita. There’s so many women who want to work but don’t know how or know how to get back into it after being stay-at-home moms and want to transition back into the workforce. We do a really great job of promoting, hiring and retaining women in leadership positions. I’m proud of that. What’s your goal for the business? I want us to be among the best staffing firms in the markets we serve. That’s why it’s about quality for us, not necessarily about size. I think what’s made us so successful is that we have an intimate relationship with our clients and our candidates. Ninety-two percent of our business comes to us from referrals. We’ve worked with companies that have the highest rate of growth, are the most innovative in the state, and we represent some of the most exclusive top talent in our market. We’re really grateful for that and the reputation we enjoy. We want to make sure that we remain true to that and expand upon that. What would your advice for other women entrepreneurs be? Call me! I say that jokingly, but we can be such a great resource for each other. It’s just like raising a child: It takes support. My advice would be, be humble and surround yourself with people who can help you, and be open to that support. Check the ego at the door and ask, “Who else do I need on my team, and how can I benefit from that team?” Don’t be afraid to ask for help. There’s no shame or embarrassment in that. If anything, that’s how you become the most successful. I’ve always believed I don’t need to make that mistake if someone else has made it. You have a 4 month old. How has it been being a new mom and owning your own business? Being a mom is the most amazing opportunity of my life. Everyone says your life changes when you become a parent, but I would add to that it changes for the better. Sometimes we forget to say that. I’ve been incredibly lucky to have support. My fiancé stays home with our son, and that’s a decision we made a few weeks after he was born. We made that decision because it was in the best interest of our family. Initially that was hard for me, but I remind myself that every family is different. Living in Utah, there’s a stereotype that you have to stay home with your child, and ultimately that’s not the best for me or in the best interest for my family. I joke that I’m a better mother if I work, but I really do believe that. It’s wonderful to be in a place where you can choose what’s best for your family. Ryan, my fiancé, has always been incredibly supportive of my career. I’ve always been incredibly lucky to have support from the men in my life. The men in my life have enabled me to be where I am today. I’m incredibly lucky to have Ryan at home. It just makes it so I don’t go to work and stress about whether my child is OK, or if he’s being taken care of. That’s made the transition incredibly easy for me. I’m also incredibly fortunate to have my own business, and I have the flexibility that a lot of people may not. I’m sitting in my office now, and there’s a baby Bjorn bouncer under my desk and a diaper caddy with diapers and wipes. I work a lot of hours, and it’s nice to bring my child into work if I need to. Sometimes when Ryan needs a break, the baby gets dropped off and hangs out at the office with me for a few hours. So I have a lot of luxuries that I think makes it a lot easier for me. There’s the flip side to this, too: I got a lot when I was pregnant, “Oh, you’re so lucky you own your own business and can take as much maternity leave as you want.” And I’d chuckle because it’s the opposite when you own your own business—you can’t take any time off. I had a 24-hour labor, and I was on the phone returning emails a good portion of it. But I do my best to make my schedule work for my family and me. I do remember that family is first: I don’t live to work, I work to live. How have other men in your life supported you? Growing up, my dad would say, “Trying to be a man is a waste of a woman.” My dad was a pretty well-known basketball player in Croatia, and once while still living there he made the front page of the newspaper for pushing a stroller with one of my siblings in it, and the other kids were walking alongside him. He would take us on these nightly walks, and my brother couldn’t fall asleep unless he was in the stroller beneath the tress with the sound of the ocean. The headline read—it doesn’t translate exactly but it’s closely: ‘They have their Dad wrapped around their fingers.” It was so unheard of at the time in Croatia that there would be a man pushing the stroller, taking care of his kids while my mom was at home. It was not a man’s role to care for the children, but my dad changed our diapers and took time with us and fed us. He was truly a co-parent, and I’m grateful I grew up seeing that. That was something that always stood out to me: my Dad saying be who you are. It doesn’t matter that you’re a woman, just be who you are. He led by example, and I always appreciated that about him. “Work hard, stay humble.” Humility is a virtue that has always resonated with me. Spiritually, I’ve always said, “I love god not religion.” Personally, my motto has always been, “Judge less and love more.” When I take that approach, I think I handle most situations better. We’re big on traveling. I’m happiest with a full suitcase and a boarding pass. A weekend at the beach does a lot for my soul and my mental health and re-energizing me. I’m a former ballerina, and I don’t get to ballet classes as often as I’d like, but I’ve developed a love for Pilates. I love cooking and spending time with my family. I moved back to Utah, and for the first time I’ve really enjoyed having the mountains be my backyard, and I’ve taken up skiing and biking. I did have to pause that with the pregnancy last year, but I’m back into that. Tell me about being a ballerina. Ballet is a common thing in Croatia and European countries. I was a ballerina growing up, and when I started college, I stopped dancing and started teaching. It started to be too much with a full-time career, but it is still one of the biggest blessings of my life. A lot of people will ask where my drive comes from, and a lot of it stems from ballet. It taught me discipline and hard work and a tremendous amount of respect for my instructors and team and community. What is something, real or make believe, that you wish you had that would make your life easier? I’m sure everyone says this: more time. I don’t know where it goes. And now having the baby, he’s growing up quicker than my eyes can adapt. I just wish there were more hours in a day. 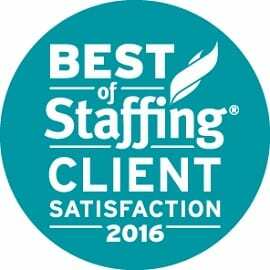 SALT LAKE CITY, UT– FEB 23, 2016 – SEARCH Group Partners, a leading recruiting firm, announced today they have won Inavero’s Best of Staffing® Client Award for providing superior service to their clients. Presented in partnership with CareerBuilder, Inavero’s Best of Staffing Client winners have proven to be industry leaders in service quality based completely on the ratings given to them by their clients. On average, clients of winning agencies are nearly three times as likely to be completely satisfied with the services provided compared to those working with non-winning agencies. Focused on helping top organizations find the right people for their job openings, SEARCH Group Partners, received satisfaction scores of 9 or 10 out of 10 from 75 percent of their clients, significantly higher than the industry’s average of 27 percent. Award winners make up less than two percent of all staffing agencies in the U.S. and Canada who earned the Best of Staffing Award for service excellence.  About SEARCH Group Partners, Inc.
SEARCH Group Partners (SGP) is a premier boutique recruiting firm, with offices in Utah and California. SGP conducts searches on a nationwide basis and provides professional talent acquisition and consulting services including: temporary, temporary-to-hire, permanent placement, executive search, on-site solutions, outsourcing, and talent development. SGP’s customized searches and individual attention is dedicated to the following niches: Accounting & Finance, Office & Administrative, Technology, Marketing & Creative and Executive & Senior Management. Entrepreneur of the Year category for Women in Business; Utah Business Magazine Forty under 40 Award winners; Utah Business Magazine 2013’s 30 Women to Watch. About Inavero Inavero administers more staffing agency client and talent satisfaction surveys than any other firm in the world. Inavero’s team reports on over 1.2 million satisfaction surveys from staffing agency clients and talent each year, and the company serves as the American Staffing Association’s exclusive service quality partner. Next time you’re in downtown Salt Lake City, you might spot a photo of the founder and CEO of SEARCH Group Partners, Ema Ostarcevic. As a company with headquarters located downtown, SEARCH Group Partners is proud to partner with the Downtown SLC Alliance, a nonprofit organization dedicated to building a dynamic and diverse community. The regional center for culture, commerce and entertainment. The Downtown Alliance, the regional center for culture, commerce and entertainment, represents more than 2,500 businesses in the Central Business District. Through their banner program, organizations like SGP can produce banners to be displayed throughout the area in support of their efforts. We are excited to see them waving proudly in the breeze. Keep your eyes peeled next time you’re downtown! 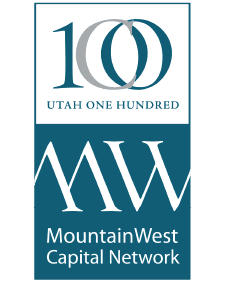 SEARCH Group Partners is pleased to announce that they have been chosen from among some of Utah’s most prominent companies to be recognized at the MountainWest Capital Network’s Utah 100 Awards luncheon as one of 2015’s Emerging Elite Companies. The MWCN committee received a record number of entries for the 100 Fastest Growing Companies and an almost 400% increase in nominations for the Emerging Elite award. It has been a great year for business in Utah and the entry numbers are proof of this. The MountainWest Capital Network’s Utah 100 Award luncheon will be held on Tuesday November 3rd, 2015 at the Grand America Hotel Imperial Ballroom with an awards program and luncheon from 11:30 a.m.-1:30 p.m. Additional information on the event and a full list of companies being honored can be found here. 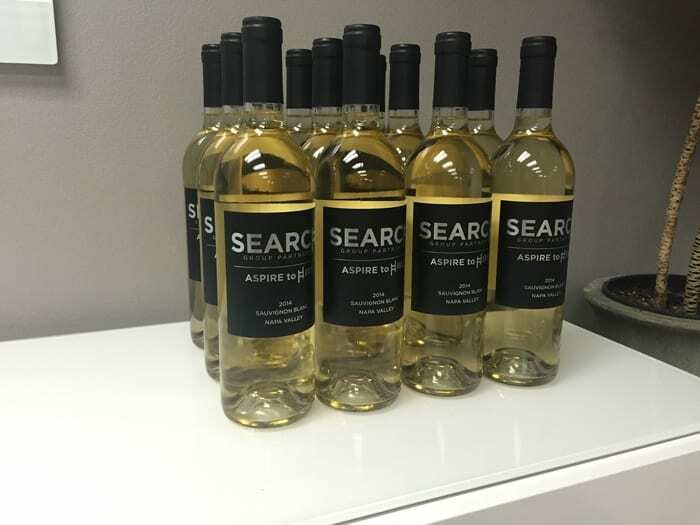 It has been an incredible year for SEARCH Group Partners. 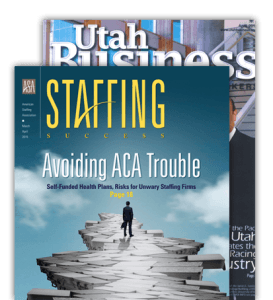 In the past twelve months they have been awarded the Inavero’s Best of Staffing® Client Award and in February, the firm’s CEO, Ema Ostarcevic, was nominated for Utah Business Magazine’s 40 Under 40. Thank you for your continued support and loyalty. For thousands of years, sharing a glass of wine has been an act of friendship and partnership. That’s why SGP decided to team up with Judd’s Hill Winery in Napa and create our own unique 2014 vintage Sauvignon Blanc–to share with our clients, candidates and friends alike. Cheers to new relationships and new beginnings! Ema Ostarcevic arrives at work looking like a perfectionist professional, which she is. Chief Executive Officer of SEARCH Group Partners (SGP), a boutique recruiting firm with offices in Utah and Tennessee, this year she was named one of Utah Business Magazine’s “Forty Under 40.” In 2014, she won a Bronze Stevie Award in the Young Entrepreneur of the Year category for Women in Business. She steps into her Trolley Corners offices intimidatingly turned out in high-heeled pumps, a sophisticated up-do, and her favorite accessory: Duke, a Miniature American Eskimo dog, who is as well-groomed as Ostarcevic. She’s not the only one in the office with a canine companion. A colleague frequently brings her Boston Terrier, Smithe, to work with her. In fact, on a given day, five tails could be wagging in the office. SEARCH has a detailed dog policy. “We think staff morale and therefore productivity increases when people are allowed to have their dogs with them,” says Ostarcevic. “It’s relaxing.” Of course, there are rules—like, aggressive dogs are not welcome. Dogs must be toilet trained. (Three “accidents” and a dog is no longer welcome.) Dogs must be quiet, well-behaved, clean, vaccinated and insured for liability—when you think about it, that’s more than you expect from your human co-workers. A dog-friendly policy like the one at SGP is becoming more and more common, as dogs move from being outdoor pets to family members. More than half of Utah households own pets, according to the American Veterinary Medical Association, 29.4% of which are dogs. Dogs seem to be everywhere, more respected than humans (understandable), better nurtured than many humans (arguable) and as noted above, often better-behaved. A good example of where dogs rank in our society: When James Barker was killed by a Salt Lake police officer last fall, “dozens” turned out in protest. But when a Salt Lake City cop shot Scott Kendall’s Weimaraner Geist—hundreds marched in outrage. Utah Highway Patrol’s chase after a little Pomeranian loose on Legacy Highway brought traffic to a stop—meaning the dog got more consideration than some Highway Patrolmen. (Several troopers were nearly killed this year by speeding motorists.) One of the few lauded laws from last year’s legislative session took effect Jan. 1, 2015: Cities are prohibited from prohibiting certain species of dogs. (Pit bulls unite!) A Utah dog, a 12-week-old toy rat terrier named Spot, made national news when it became the unofficial mascot of the Woods Cross Police Department—pictures of a burly uniformed policeman giving Spot a kiss went viral. Finally, Utah the legislature took time to consider a bill proposed by South Jordan Daybreak Elementary fourth graders that would make the Golden Retriever Utah’s state pet. You might think that there were more important issues to address at the Capitol, but in today’s pet-obsessed society, dogs are people, too. 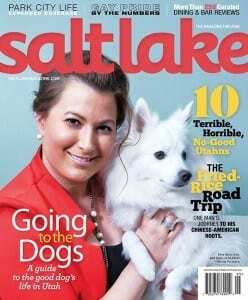 That’s why we’ve put together a selected list of Utah’s dog-friendly restaurants, top dog daycares, special dog-centric events and the latest must-have dog accessories—in short, everything you need for the good dog’s good life. So she waited to get her dog Duke, a miniature American Eskimo dog, until she owned her own business. “He’s always been a working dog,” Ostarcevic says, brushing the white dog hair from her otherwise impeccable pants (not that Duke doesn’t arrive at the office as impeccable as his owner, er, co-worker.) Ostarcevic believes her company’s pet-friendly policy is an important part of team building. “Dogs break down barriers. Everyone can find common ground talking about their dogs.” It’s an extension of her philosophy of supporting a healthy work/life balance among her employees-–which is an extension of her chosen career: finding the same kind of satisfying work for other people. Business Magazine. The award recognizes the best and brightest under-40 rising business professionals in the state. Ostarcevic, who also has received speaking and entrepreneurial awards, is an employment and human resources adviser for several media, television, and publication outlets nationwide. SALT LAKE CITY, UT- February 3rd, 2015 /SGP NEWS/— Ema Ostarcevic, CEO of SEARCH Group Partners, a leading recruiting firm, is named one of Utah Business Magazine’s Forty under 40 Award winners. Each year, in a highly selective process, Utah Business Magazine chooses to highlight exceptional young professionals who are front-runners in their fields. This prestigious award recognizes the best and the brightest of rising business professionals in Utah under the age of 40. In her role at SEARCH Group Partners, Ostarcevic has been recognized for her accomplishments and has won both speaking and entrepreneurial awards, becoming an employment and human resources advisor for numerous media, television and publication outlets nationwide. Recently, Ema was awarded a Bronze Stevie® Award in the Young Female Entrepreneur of the Year category for Women in Business in 2014. Ema was also recognized by Utah Business Magazine as one of 2013’s 30 Women to Watch. The winners of the Forty under 40 award, which is now in its 13th year, will be honored at luncheon hosted by the magazine at The Grand America Hotel in Salt Lake City. Search Group Partners is the proud winner of Inavero’s Best of Staffing 2014 Client Satisfaction Award.